Josh Garza, the CEO of the now-defunct cryptocurrency mining company GAW Miners, has been sentenced to 21 months in prison after pleading guilty to a wire fraud charge. As part of the sentence, Garza was given 6 months home confinement and three years of supervised release overall. The court proceedings, which took place on a cloudy day in Hartford, Connecticut, saw several customers of the disgraced company read statements about their experiences with GAW. Garza himself gave a courtroom statement prior to the sentencing and expressed remorse about his actions. Thursday’s sentencing caps a years-long saga that began in 2014, with allegations that GAW was acting as a Ponzi scheme by selling more cryptocurrency mining processing power than the firm actually possessed. During that time, GAW released a controversial cryptocurrency called paycoin that would feature prominently in the Justice Department’s case. It also marks a conclusion of sorts for an early effort by the U.S. government to police the crypto space, arguably setting the stage for some of the enforcement actions and lawsuits filed in the past year and a half against a slew of alleged scammers. The original allegations of fraud made against GAW – vociferously denied by Garza and other supporters at the time – ultimately proved to be true in the wake of the company’s 2015 collapse and subsequent lawsuits initiated by the U.S. Securities and Exchange Commission (SEC) and, later, the Justice Department. Internal company emails leaked amidst GAW’s collapse also included revelations about paycoin, its failed cryptocurrency project that was pitched as having a price “floor” at $20, as well as confirmation that the company was being investigated by the SEC. Paycoin would later feature in the Justice Department’s lawsuit against Garza, with the SEC avoiding that element of GAW’s operations in its focus on the so-called “hashlets,” which the company pitched as “virtual miners” that the U.S. regulator later deemed a security. Garza pleaded guilty in July of last year in the Justice Department’s case, though the SEC suit remains ongoing, according to public records. 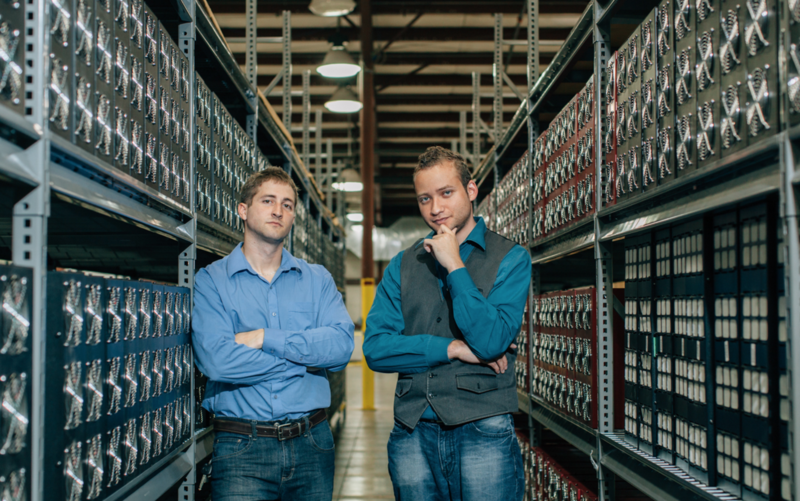 GAW Miners, based in the United States, initially served as a reseller and distributor of mining equipment, later moving into the hosted mining business – that is, the firm would purchase and operate machines on behalf of its customers. Toward the latter half of 2014, GAW began pitching the Hashlet, which the company sold through an in-house marketplace. It was around this time that skepticism about GAW’s claims began to steadily grow, including questions about its mining operations, relationships with well-known businesses and Garza himself, who played an outsized and at-times controversial role in public messaging on social media channels and in the media. Indeed, GAW made waves that August when he announced that he had purchased the BTC.com domain name for $1 million. It would later be shown that the domain name was obtained through a long-term agreement that ultimately lapsed. But opposition to GAW had been steadily growing, with a public gulf widening between the company’s often-zealous clients on its official forum and opponents – in many cases customers or former customers themselves – on BitcoinTalk. Even still, the coin was positioned as a payments-friendly altcoin with the backing of GAW. Yet as CoinDesk reported at the time, paycoin would ultimately fail due to the very same pump-and-dump tactics that Garza and GAW decried when launching it. As data from CoinMarketCap shows, paycoin’s $20 “floor” didn’t last long, as the price tumbled below $2 by the end of January 2015. A buyback scheme was subsequently announced, but the cryptocurrency’s price continued dropping in the days that followed. Ultimately, the paycoin debacle would prove to be the first stage in a months-long collapse for GAW. The period saw Garza himself go (in the eyes of some) from cryptocurrency messiah to cryptocurrency pariah. February saw the release of hundreds of thousands of internal emails, including those written by Garza himself, which revealed the existence of the SEC inquiry – reported first by the cryptocurrency blog CoinFire but denied at the time by the company. Subsequently leaked emails would also show that GAW had, in fact, sold more mining processing power than it actually possessed. The following weeks and months featured the emergence of new efforts to revive GAW’s fortunes, through aborted services like Mineral (a crypto exchange) and CoinStand (a paycoin-focused site for buying products from Amazon). That summer, a power company in Mississippi won a default judgment against GAW after the company failed to pay for power at a facility in the state. In December 2015, Garza, GAW and ZenMiner, an affiliated mining company, were sued by the SEC for the unlicensed sale of securities and operating a Ponzi scheme, as CoinDesk reported at the time. An investigation by the Justice Department, simultaneous with the SEC pursuit, culminated with the wire fraud charge guilty plea. Nearly two years after the initial SEC lawsuit filing, a U.S. district judge held Garza liable for more than $9 million, a move that came months after the SEC’s bid for an $11 million default judgment against GAW Miners and ZenMiner was approved.